Best Apartment I Ever Sold invites our agents to share the unique story of their best selling experience to date. 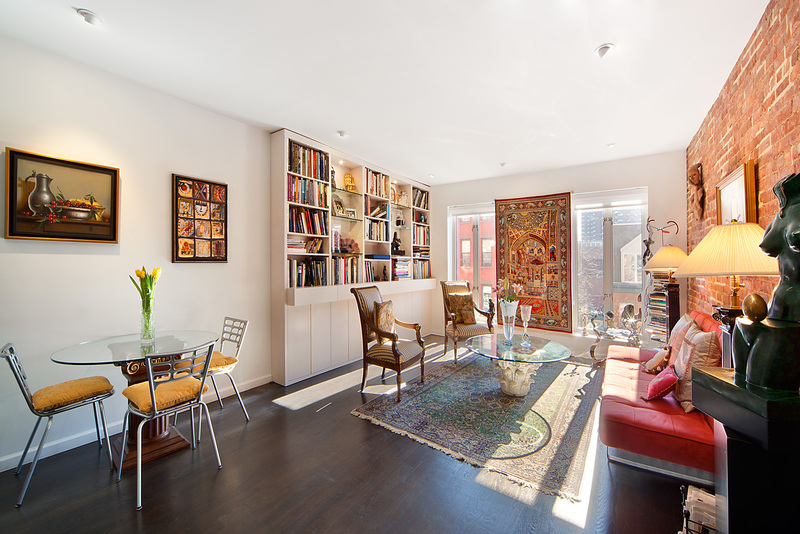 This week, learn why Limor Nesher’s sale at 251 East 110th Street is her best one yet. I searched online and found a townhouse owner in East Harlem who was advertising his property for sale. The description drew my attention as it read that there was an art gallery in the commercial space. As an artist myself, I was intrigued to see the property. The owners and I had an immediate connection and I felt that I could pass on my excitement to a potential buyer. I convinced the owners that I was the right person to sell their house. With that said, I knew that it wouldn’t be an easy job. There were no comps for a mixed-use townhouse nearby, the taxes were much higher than the average because of the commercial space and the area was tough to sell. However, I saw the potential, and believed that it was worth it. The seller had a price in mind; I thought that it might be a little steep, but that I could work with it. Additionally, by comparing this house to the downtown scene, it made complete sense to me that I could make it work. Finally, if I didn’t have comps – other people didn’t have them either. So that can work both ways – against you or with you. The ONLY thing I could do was to emphasize the growing potential of the house (unused rights to build further) and area. So I sent some past analytical reports to a few buyers showing the growth of the area in the last 5 years. After a futile few weeks, I decided to list it as a commercial property – in a commercial website and add my listing to their data base. Immediately, I started getting calls from commercial brokers, and after less than a week later, we got an accepted offer. I am happy to say that the new owners were exactly the buyers that I was hoping for: high-end artistic-minded Downtowners that saw the potential of the area and seized the opportunity to combine a few business ventures that they had in various locations to this one house.